NEW YORK, NY--(Marketwire - November 19, 2008) - KOCH Records is thrilled to announce the long-awaited musical return of producer extraordinaire, The Alchemist. A new Digital EP, "The Alchemist's Cookbook" is available now exclusively now on iTunes. As one of today's most in-demand hip-hop producers, The Alchemist has finally re-emerged with 6 new tracks to give fans a sneak-peek into what he has in store on his forthcoming full length album "Chemical Warfare" due out February 2009. The forthcoming new album will be the long-awaited follow-up to "1st Infantry." 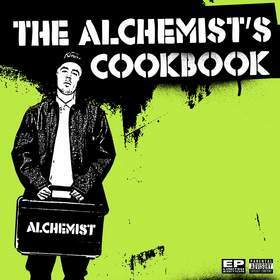 "The Alchemist's Cookbook" features new collaborations with Snoop Dogg, Jadakiss and Styles P of the LOX, Pusha T of the Clipse, Prodigy of Mobb Deep, Kid Cudi, Nina Sky, Capone-N-Noreaga (CNN), Evidence of Dilated Peoples, Blu and Keak Da Sneak. Alchemist is still doing what he has always done for the hip-hop scene -- transmitting sounds and samples into moments, beats into classics in a way that has established his name as one of the most revered producers in hip-hop. The single "Lose Your Life" featuring Snoop Dogg, Jadakiss and Pusha T has spread like wildfire over the internet as the demand from Al's fans increases. For more information check out Alchemist's all new blog and homepage at www.AlchemistBeats.com; Be sure to stop by for exclusive new video updates from the road and in the studio on his Kyte.tv channel, accessible through www.AlchemistBeats.com. For more on current and forthcoming KOCH Records releases, please visit the newly re-launched www.kochrecords.com site.